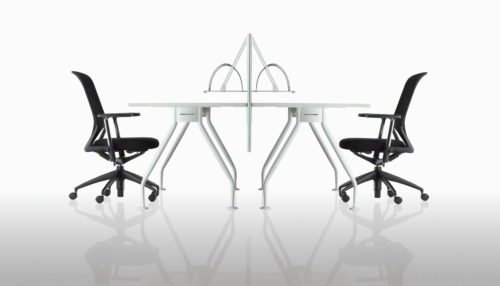 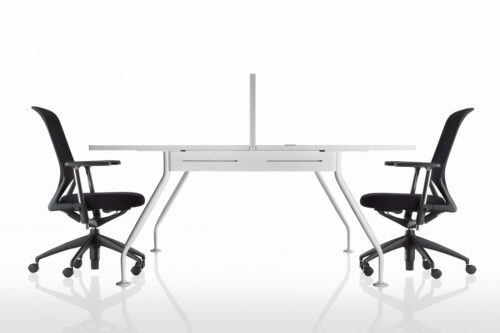 Vibe creates simplified solutions, productivity, versatility and practicality while maintaining unique defined lines and curved geometries designed to suit today’s modern office space. 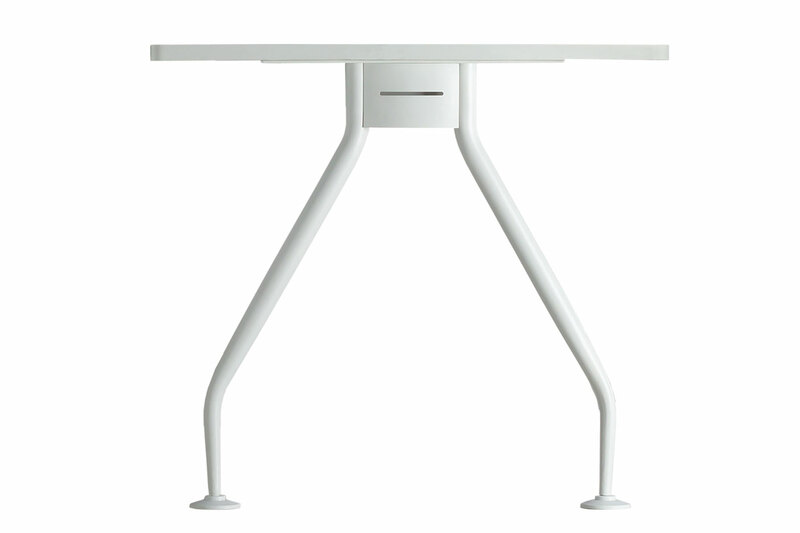 With its all-steel components consist of leg structure and beam support. Mono Straight Leg with the adjustable glide or castor as an option. 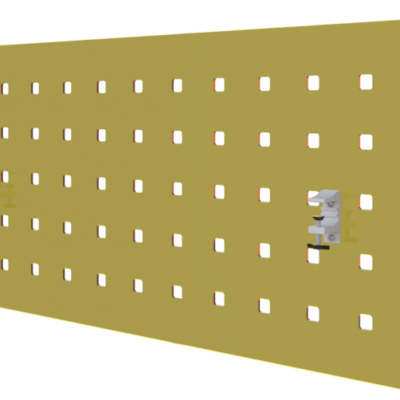 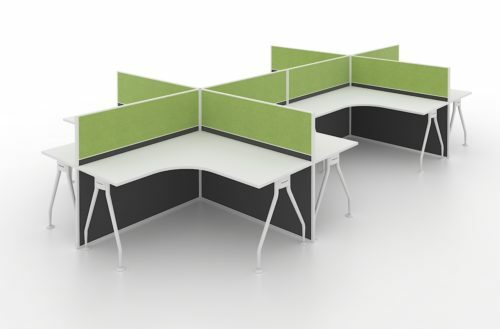 Main Beam Support, Return Beam support and Shared Beam Extended Connector. 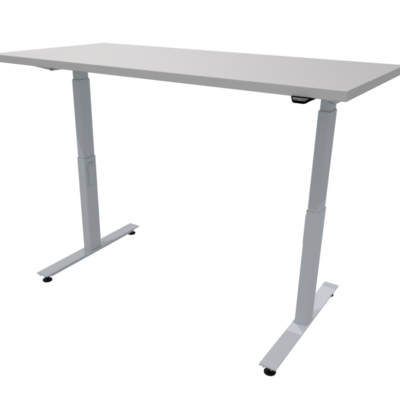 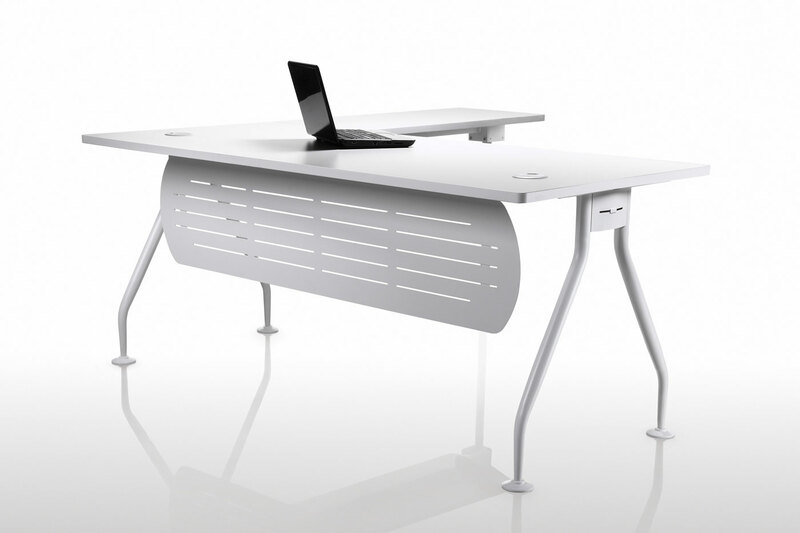 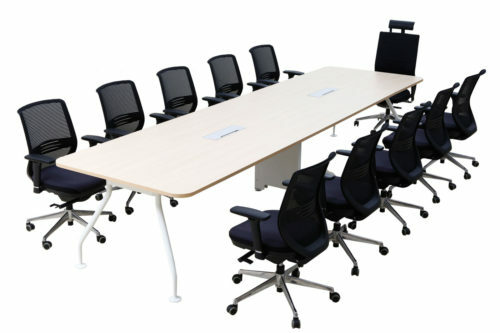 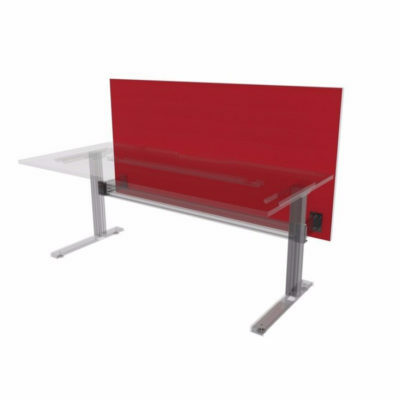 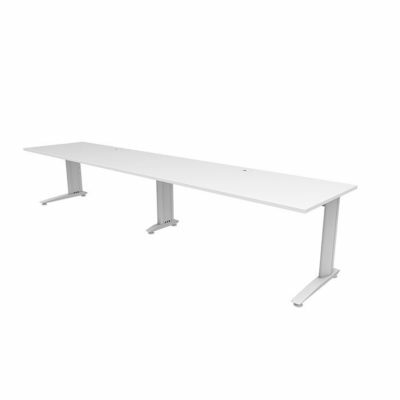 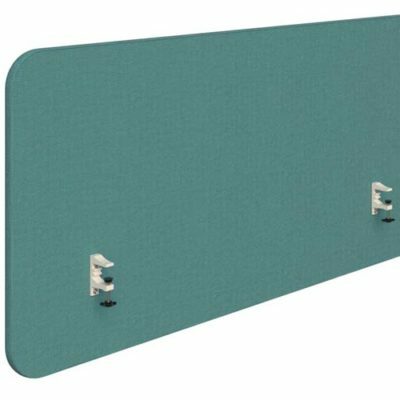 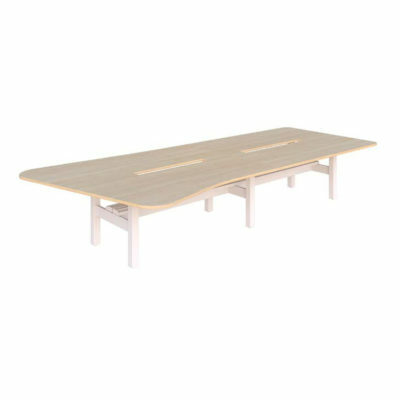 These can be connected and configure as a straight table as individual or multiple, diverse of meeting table or conference bench, general workstation bench, or executive desk with side return, or even discussion table. 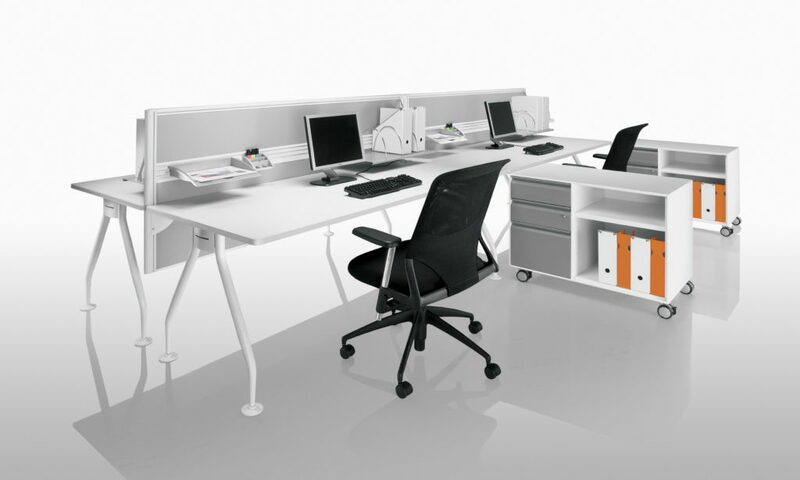 It becomes the base structure element and complement with accessories from dividing screens, storages for your work tools, power and data cable management.